< Previous Is Blended Learning the Best of Both Worlds? Still wondering how to do this successfully, anyone have any thoughts on creating a PLN and how they make it work? I have been trying to learn how to develop a personal learning network for some time. Thank you very much for a thought-provoking reading material. Developing a PLN is extremely time -consuming as well as a challenge for me. I am looking forward for reading your next article. Thank you very much, Debbie. I am going to work on this. Hi Debbie … Thanks for sharing Steve Wheeler’s post, http://steve-wheeler.blogspot.com/2010/07/anatomy-of-ple.html which helped me better differentiate between a PLN & PLE. An old age states that “a picture is worth 1000 words” and I found the Venn diagrams quite helpful in explaining the difference. Thanks Debbie for choosing to quote how important my PLN is to me. My compliments to your well thought out and wisely crafted post. In particular, newbies to MOOCs will find your “survival strategies” useful in helping them manage all the information being shared. I have some questions regarding your differentiation between a PLE and PLN. Must newbies establish a PLE, that overtime develops into a PLN? In other words … Is a PLE a necessary component tha tmust be explored before a PLN can be developed? For example, the vast majority of individuals that I consider as part of my PLN are educators that I know personally and have met on a face-to-face basis. Now, like you, I find Vicki Davis (@CoolCatTeacher) to be an amazing blogger & Twitter resource. If you, like me, have never met her, do you consider Vicki as part of your PLE or does her “value” or “influence” rating gain her a PLN standing in your mind? Perhaps, I playing with semantics and have probably used the term PLN to be rather inclusive but I like your idea of a PLE as a starting point to getting connected. Using my website as example, I’d like to show you around. Me again 🙂 I forgot to mention that I’m using my website as evidence of ongoing professional development for Teacher registration. Debbie, I’ve been reading about Personal Knowledge Management lately, PKM…maybe a post for another time? HI Brian, Thanks for your comment! I was inspired by your post on PLNs and felt it was most fitting in describing how PLNs are critical to educators’ development. You bring up some very good questions here; Penny has done an excellent job in describing how the PLE is a framework of digital tools that are sources of learning and information. Her blog, http://penbentley.com is also an example of a PLE, one that is ‘hub’ of her content sources for learning and development. I’ll build here on what Penny has shared. I’ll tackle your question, Is a PLE a necessary component that must be explored before a PLN can be developed here. A personal learning network in the context of a personal learning environment (PLE) are contacts and connections that are made virtually, through exploring and learning through digital platforms such as blogging, participating in MOOCs etc. Face-to-face contacts are of course part of a personal learning network, but it is within the context of a face-to-face network. You are right we are talking semantics here to some extent, face-to-face contacts are PLNs in this setting. Another layer of personal learning contacts are created through digital platforms. One can build a very diverse and rich groups of contacts through blogging, commenting (as we are doing here) and participating in MOOCs etc. To manage our learning on the web, a foundation or framework is needed, (PLE) to organize and make sense of the content and sources of information that we consider valuable. I may visit many blogs, websites that I used for content sources for example, Coolcatteacher – and this would be considered part of my PLE, a place where I gather information from to learn. I gather many of these sources in my Pearltrees application http://www.pearltrees.com/debmorrison. 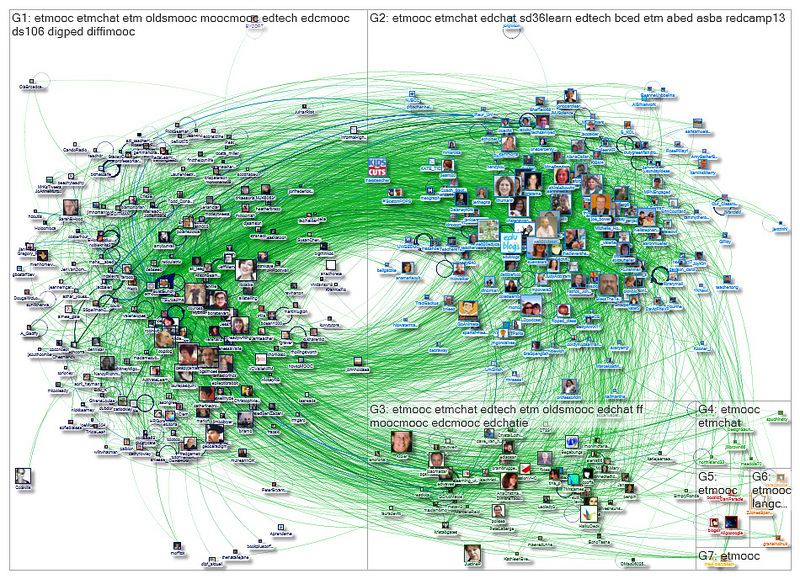 However, my PLN consists of people that I interact with, that I have a relationship with. 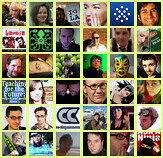 These are people I meet through blogging (comments) and/or MOOCs. These are people that I can email with a question, will purposefully read their blogs and comment on them, will follow on Twitter, and exchange ideas with. We can use Penny here as an example. She is contributing information to this exchange, is providing information, building on what I have written and contributing to a learning conversation. 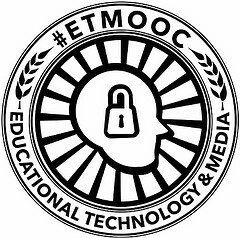 I perceive my PLE to be much like the #ETMOOC individuals that I FOLLOW. I visit and investigate the blogs of those I follow and glean ideas and resources from their blogs and from comments & interaction with these parties. However my Google Plus FRIENDS are more like my PLN. These individuals, some of whom I have met face-to-face, are ready to dialogue with me and support me. I might feel that I could more easily discuss my fears & foibles with these FRIENDS because they are part of a very supportive PLN. Perhaps I’m trying to simplify these concepts. Regardless, I appreciate educators like you and Penny taking the time to help educate me in my learning journey. Hi Brian, So nice to hear from you! I am so glad things are falling into place. The nice thing is, there really are no ‘rules’ to a PLE, and what makes sense to you, the framework that provides you with learning and development is what the goal is. What works for me, or for Penny is an individual as we are. Thanks very much for both of your posts on this subject. A real takeaway I have gotten is the need to structure and engage my PLE and network as an essential part of my daily existence. That is my network of MOOCs, blogs, et al become a central component and not a tangential activity to do late at night or on weekends. As someone working in the more “traditional” ends of higher ed, this understanding is quite a revelation. I am interested in personally thinking about how I have undergone this transition in the past couple of years and how the measurable output in my career at the end of the day is enhanced by my engagement in what I will now refer to as my PLN. Great post, Debbie. I’m fresh out of tonight’s #etmooc webinar on Connected Learning and Alec’s description of PLE & PLN was similar to yours — and to my understanding as well. I’m most interested in modeling and making visible these learning processes for my students, so that they can create PLEs and PLNs themselves. I tell them that it’s great to leave university with a good degree, great friends, and happy memories, but that’s not enough anymore. Ideally, they should aim to leave with a PLE and a growing PLN, so that they can continue learning, literally from the day they leave! thanks for the clear and helpful account of PLE, PLN and strategies creating them. I think this is my plan for this week, to create and develop my own PLN, and your post has really helped kick that process off. HI Penny, Thanks for taking the time to comment, I’m glad you found the post helpful. You bring up an excellent question, ‘can a blog/website be the hub of one’s PLE, with all other tools linking back to it’? I have been struggling with this very issue – where is best place to share/archive work created, resources collected within a MOOC? I participated in two MOOCs last year, and wanted to pull all my learning (in form of blog posts etc) and resources together. My plan is to create a page within my blog that is dedicated to MOOCs. My goal is to make a list of all blog posts pertinent to the given MOOC, links to resources collected through Pearltrees (my content curation tool, where I have dedicated a Pearltree to each MOOC), and provide a summary of the course. What to do with the Twitter feeds? I have heard of a tool called Storify, where one can select the most pertinent ‘voices’ from social media conversation and associate it with a URL. http://storify.com/about . I believe this has potential.